Looks like Arare, but still hard to confirm with just this. Hopefully the lottery is just for transition to HTML5 and won't affect game play. ie you get picked and get send to HTML5 version, otherwise you continue in flash. Maybe a few hours or days of downtime to port the information. It'll be idiotic to shut the flash version down and tricle players into HTML5 leaving some players to wait for months to play the game again, possibly even missing event. I don't think the lottery has anything to do with html5. It's just a change of server, aiming at balancing the population and load of each server. This had happened twice before already for specific servers. EDIT: Well, this is one way to make those 10cm fixed mount somehow more appealing. I wonder if there's any new AACI for this change. Also, Ooyodo is even more versatile being able to put secondary gun on expansion slot and having 2-3 slots free after 1 main gun lol. 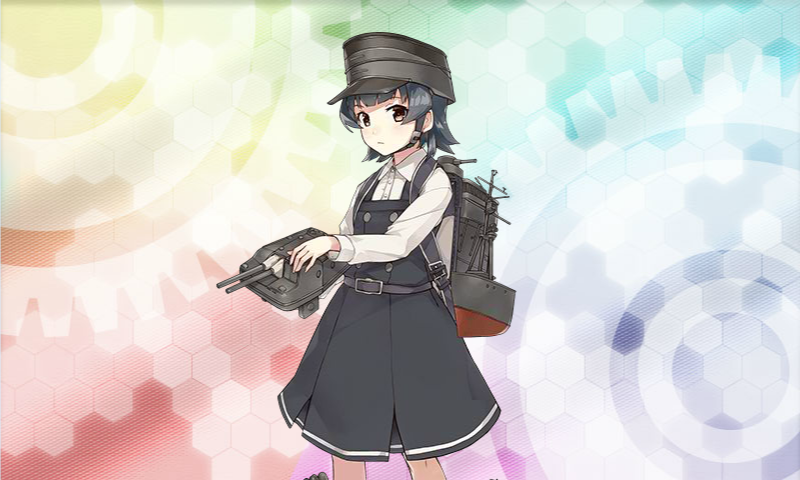 EDIT 2: This "buff" to Agano class kai looks kinda pointless to me lol. Seaplane fighters would be a real buff but I guess that's too much lol. I see. Then it's no big issue except for those aiming to ranked. Last edited by ofi123; 04-06-2018 at 10:38 AM. @ofi123 I think it does have to do with the HTML5 version, but at this point I think functionally the game should be more or less the same as HTML5. There's no reason Flash version has to be shutdown any time this year. Even if they slowly trickle people over to the new client, everyone should be able to play on one of the versions until the transfer is complete. Hmm. This will be a tough choice between the screws and possible(?) useful 10cm fixed. I have no idea what Tanaka is high on to give such a cruel choice. Of course I'm going to pick expansion but this is just evil. So, with 4 130mm B-13 Tashkent can surpass Ayanami in FP - and we don't even know how much of a bonus Russian ships get as cherry on top. This particular setup will trigger all types of CI (x1.5, x1.3, x.1.2 (only with a radar) and x1.1) and DA. This means that the overall cutin rate, and thus accuracy and damage, will increase. This will not affect the triggering rate of the strongest x1.5 CI as well, as the triggering rate of CI is calculated independently, and the CI with higher damage has the priority. Moreover, with main+ap shell+secondary gun, the passive ap shell post cap bonus will also increase to 1.15, comparing to the original 1.08 with main+ap shell. For the remaining slot, you can use an AA radar, which provides extra accuracy and an AACI of (+6, x1.4). It is not too weak comparing to Maya's +8, x1.65, and is probably acceptable to stack with Maya's to increase the overall coverage. You can also abandon dedicated AACI ship and opt for more firepower. If you do not need her AACI, SPF, surface radar and bulge could be decent options as well. The same setup can also be used on Yamato. In her case, she just doesn't have the wildcard slot. 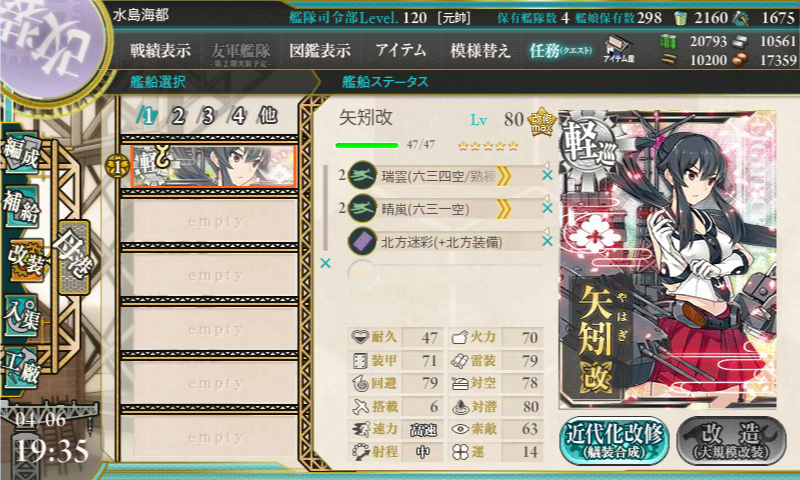 Pretty much the same as what 8cm does for Kumano/Suzuya k2. 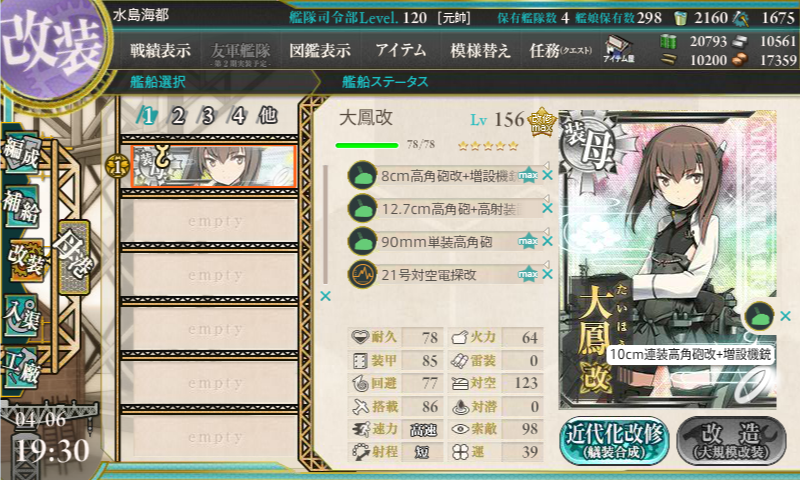 The 10cm+mg will provide Ooyodo an extra slot while keeping DA. It's not bad comparing to a generic machine gun in Taihou's RE. Individual shotdown rate of Taihou will decrease, but HA gun provides more fleet AA for the whole fleet comparing to machine gun. Probably not a good choice if you have a rocket though. If none of the above ships are using this 10cm+mg, it will still be a good choice for Maya k2. It is a slight upgrade comparing to 90mm, making it the current best HA gun for Maya when upgraded. Last edited by 211303; 04-06-2018 at 06:00 PM. Oh right, 10cm+mg can be modded to be the best AA sec. Maybe I can do this while waiting to get the mats from development for my current modding projects.